With 1,743 competitors in total, Grand Prix Birmingham was a big show and a number of big stories came out of the weekend too. There were some new trends with regards to decks, there were some players who did spectacular, and of course there was some great Magic being played. Let's get to it! As coverage colleague Simon Görtzen noted, "The top four archetypes correspond exactly to the metagame we find on Magic Online at the moment. Only with higher percentages for all of them, which both is surprising and suggests that the field here might actually be tougher than on Magic Online." It certainly was a surprise to find three decks passing the ten-percent threshold. After all, this was Modern, a format famous for its vast wealth of wildly varying while veritably viable strategies. 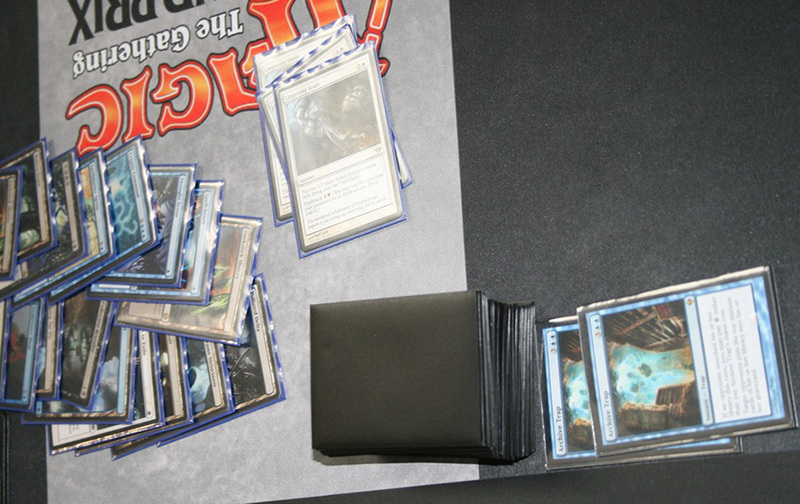 Four decks taking up a 40 percent share of the field may not sound like much, and wouldn't be by any other format's standards, let alone Standard's, but this defied all expectations. The Modern metagame, after years of being mostly unpredictable, had at long last reached a point where more and more players rallied around a few main archetypes, it appeared. This very much applied to the top dog as well. Just a few months ago, there had been major disagreement within the community about the best shell with which to take advantage of Death's Shadow. Some favored a Jund base with Traverse the Ulvenwald, some preferred Grixis with its Thought Scours, Snapcaster Mages, and Gurmag Anglers. By now the question mark was replaced with a resounding exclamation point! The above sample, for instance, only included a meager two Jund Death's Shadow lists as well as another two in Esper under the ... "other" label. O, how the once mighty Jund version had fallen! A while back it had seemed as if average mana costs in succesful Modern decks were only getting lower and lower. Infect, Death's Shadow, Affinity, Burn, and various creature decks were all working mostly off of cards for two or one or, incidentally, zero mana. Then something changed. Somehow. The reason behind the paradigm shift wasn't entirely clear, but this weekend lots of players were busy summoning creatures for four (Thought-Knot Seer, Obstinate Baloth), five (Reality Smasher), and six mana (Endbringer, Primeval Titan). Titan Shift and Eldrazi Tron were out in full force and doing well too! 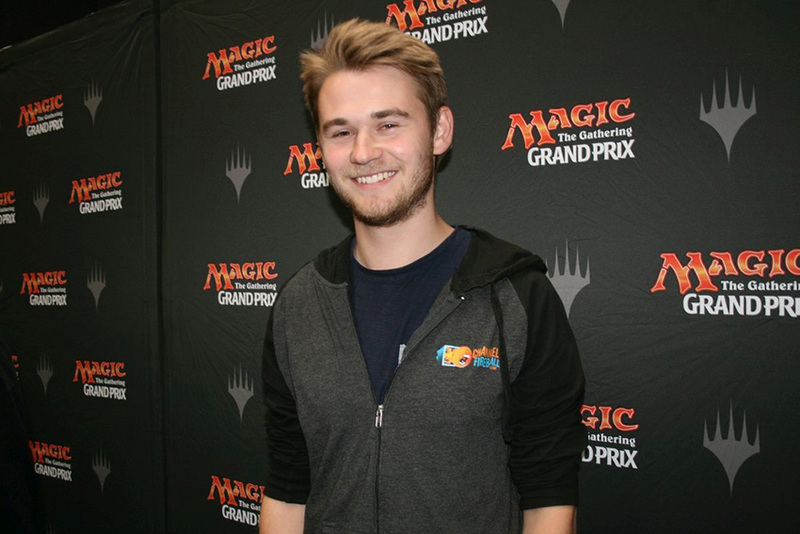 Gold pros Ivan Floch, Thomas Hendriks, Petr Sochůrek, and Ondřej Stráský, for example, had all registered the same 75 colorless cards and were harnessing the power of Urza's Tower and Eldrazi Temple to cast early Eldrazi. Ondřej Stráský suggested that the deck had simply been underrated and underplayed until recently, saying, "I was surprised the deck was played so little until now!" 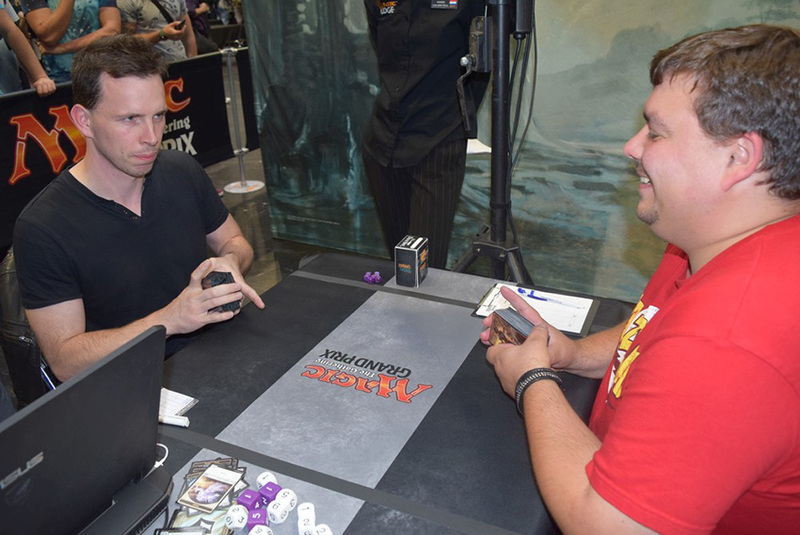 Talking about the other big mana deck, three-time Grand Prix Top 8er Jasper Grimmer had a similar theory: "Titan Shift seems to be everywhere these days. It's crazy! It may just be that the metagame is in a good spot for the deck right now, or that it had been underrepresented for a while. Not everyone is even running Hour of Promise after all, so it's not like the card suddenly pushed the archetype over the top or anything. Though it certainly didn't hurt to get this extra option." But for all the talk of new trends and of the metagame coalescing around a few central pillars, no one actually need worry that Modern had lost any of its diversity. The format continued to be a brewer's paradise, a goldmine of wonders old and new. Why, even the above sample of 300 decks included in small numbers things like Elves, Merfolk, and Faeries, Infect, Bogles, and Living End, 8 Rack, Humans, Kiki Chord, Ponza, Soul Sisters, and so on and on ad nauseam. Ad Nauseam too, of course. One excellent example was the deck played by James Winward-Stuart. He had been in contention for a Top 8 berth at least up until Round 12. He also might have earned the inofficial award for the most brutal game shown on video all weekend when, in Round 10, he managed to cast two Archive Traps on his opponent's very first turn, followed by Surgical Extraction to exile Lingering Souls. Then, when he cast Visions of Beyond, his opponent tried to fetch a blue source to cast Logic Knot and actually failed to find one! So Visions of Beyond resolved and led to another Archive Trap, heaping insult upon injury. In fact, milling as a strategy may be deserving of another close look, now with all of these Valakut, the Molten Pinnacle decks around. Not only was surgically extracting all Valakuts a real thing—which helped against Urzatron too—Archive Traps could quickly reduce the number of Mountains below the point where Scapeshift would work at all. Friends of deck diversity rejoiced when a first glance at the Top 8 revealed eight different archetypes. However, on closer inspection, two of them had quite a bit in common. Both Steve Hatto and Alberto Galicia were running midrange decks based in black and green, and both brought a sizeable land destruction package: Ghost Quarter/Tectonic Edge in the main deck and Fulminator Mages in the sideboard. Both also listed these cards as instrumental in their making the Top 8, especially because no one expected them. 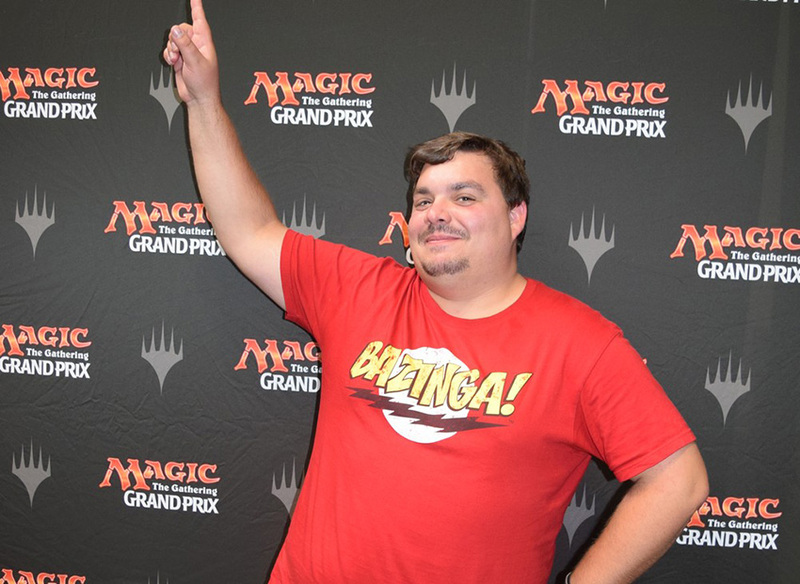 Finalist Steve Hatto explained that he "got" multiple opponents over the course of the weekend by bringing the land destruction not just in matches against big mana decks but in all kinds of grindy matchups too. Said Hatto, "Against Grixis Death's Shadow, for example, I would recur Fulminator Mage with Liliana, the Last Hope and recur Ghost Quarter with Ramunap Excavator. They really don't have that many actual sources of mana, so it's entirely possible to leave them with none, or without any of a certain color." Meanwhile, at the other end of the Top 8 bracket, Frenchman Loïc Le Briand had come up with his own tech for which people weren't prepared. He was using Shrine of Burning Rage in his Burn deck instead of the more common Eidolon of the Great Revel and attributed much of his success to the switch. Ironically, when Le Briand finally met Steve Hatto in the finals, Hatto appeared well prepared for Shrine of Burning Rage itself, and destroyed several copies of the artifact with Abrupt Decay and Maelstrom Pulse. What Hatto seemed to be ill-prepared for, however, was the regular barrage of burn spells out of Le Briand's deck. In spite of all storytelling tradition, the ultimate battle of the weekend ended up hardly a battle at all, as Hatto's deck failed to cooperate and succumbed in two rather uneventful games. 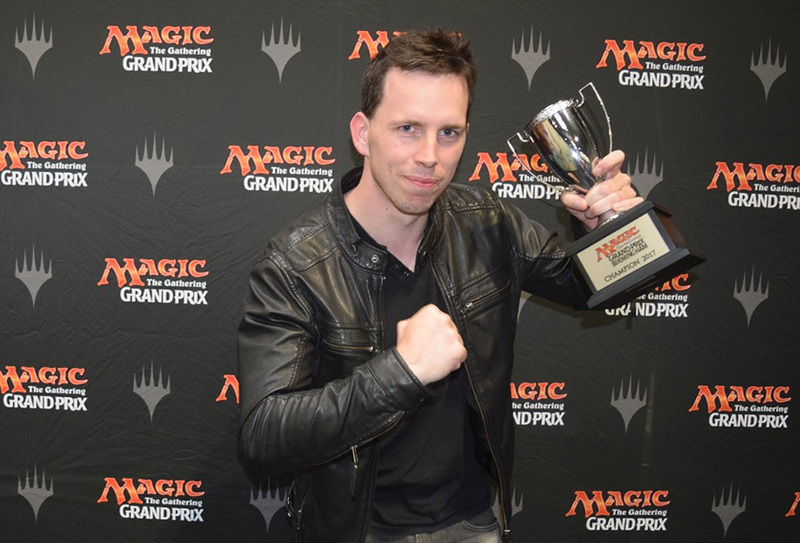 Congratulations to Grand Prix champion Loïc Le Briand for burning 'em in Birmingham!